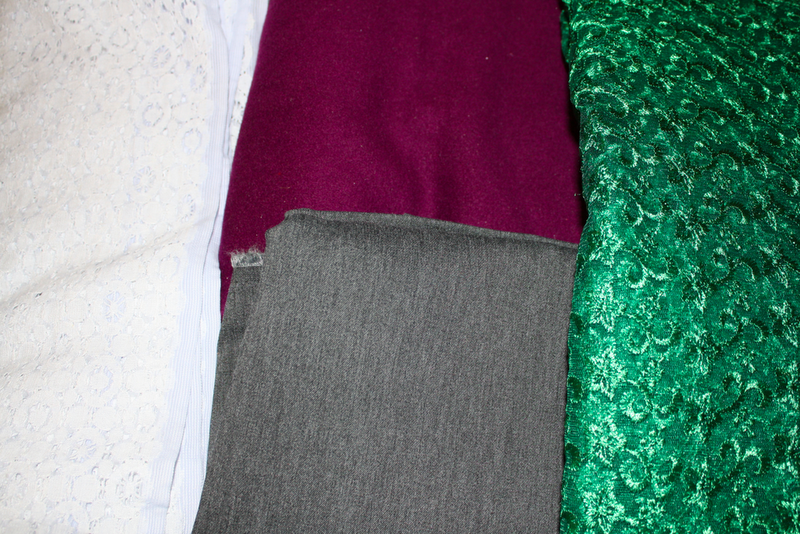 Fabric and Patterns, Oh My! Since I haven’t been posting as much in the past few months some of this is a backlog, and some of it is souvenir fabric shopping from nationals. The patterns were won in a hard-fought Ebay battle. There may or may not have been blood. 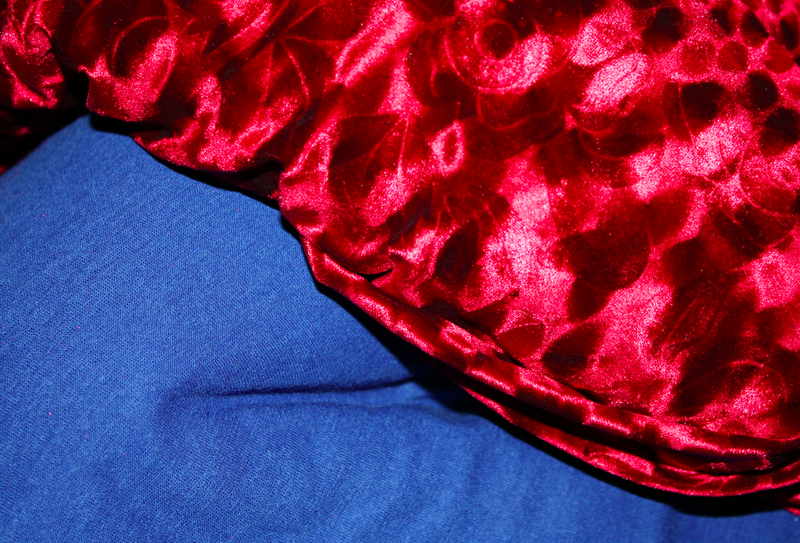 Blue wool jersey (for a top) and red textured stretch velvet (for skating). Teal and mint corduroys. Destined for casual jackets. 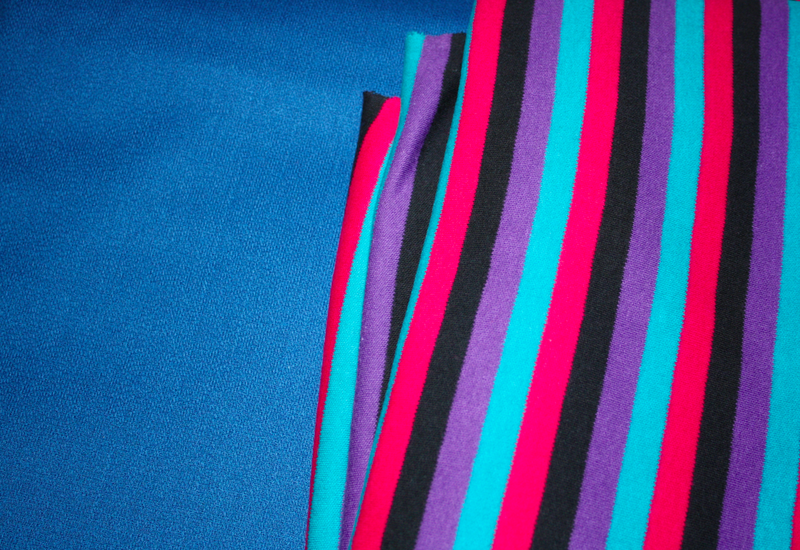 Words cannot describe how much I love this mit fabric. 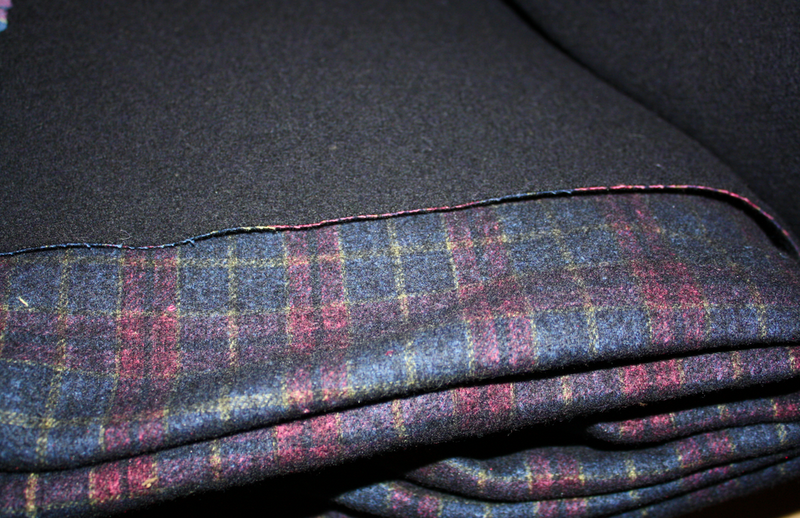 Navy/plaid double faced wool. This will be a super thick winter coat. 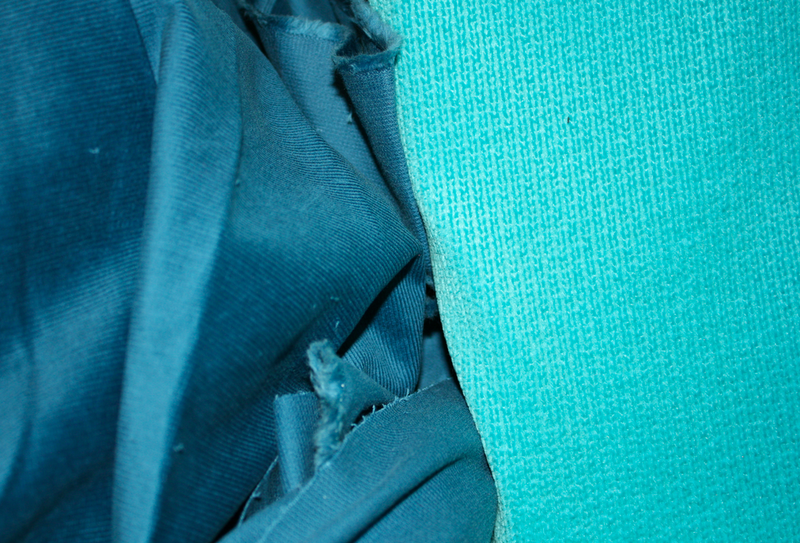 navy poly rayon (for more pants), and teal water-resistant fabric for coating. 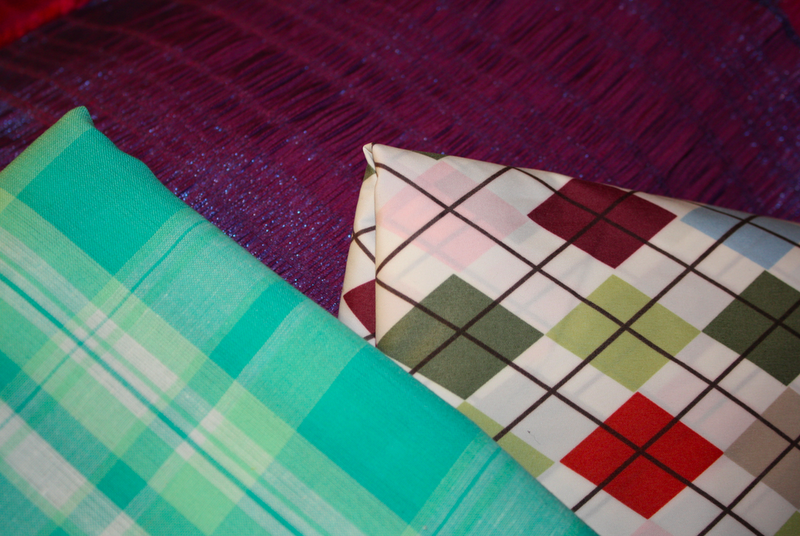 green plaid for a shirt, and smooth rayon diamond print for a lining. 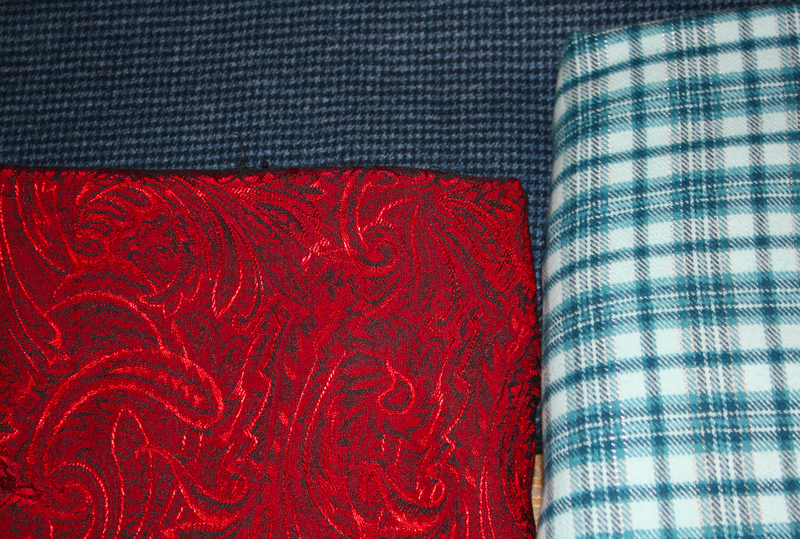 Houndstooth and plaid cottons, and a red poly brocade. Yes, theoretically I *could* find these at a local Joann’s. In practice it is much more difficult. (for a cardigan style sweater – and, yes, I am an 80s baby). White cotton lace (may possibly be dyed), magenta poly coating (I have some, but found more on the sales table for $4/yard – now I should have enough for the project I had in mind), grey poly/rayon/spandex that is the same as my Sewing Challenge pants (I love that fabric and was happy to get more), and green embroidered poly organza “lace.” Thanks Grandma! My sister got some fabric too! 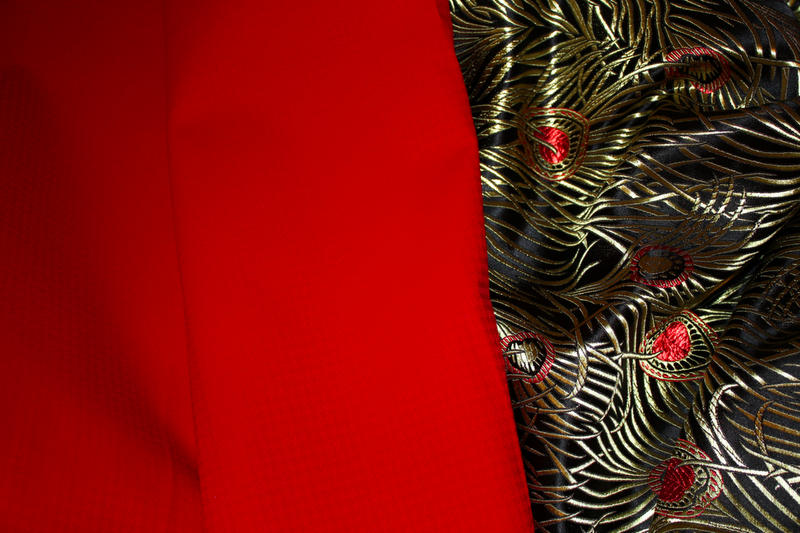 Red water-resistant coating and back/gold poly brocade. Maybe, if I wait long enough to sew it for her, she will forget about it and I can claim it for my own. 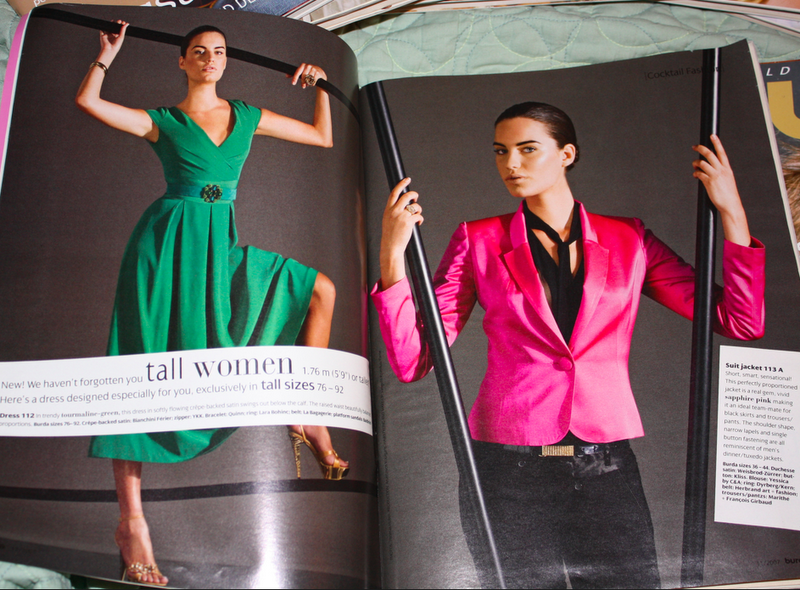 My obsessive love of the bright colors section in the November issue may have had a lot to do with this purchase. To say I have been obsessively looking for the August – December issues from 2007 to show up on Ebay is an understatement. Especially my much coveted November 2007 issue. 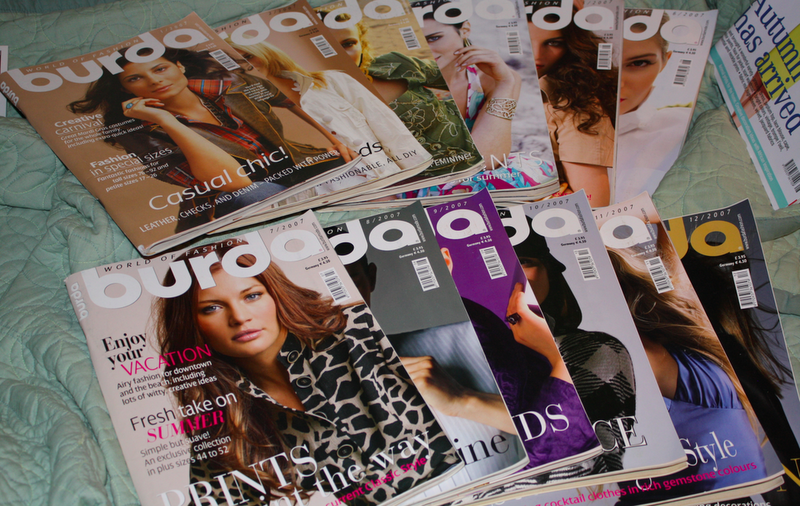 Without a doubt, the 2006 Burdas are my absolute favorites, but a few of the 2007 issues have some absolutely drool-worthy patterns. So, when I saw the entire 2007 collection up for grabs I simply couldn’t let it get away. Normally my Ebay purchases are of the “Buy It Now” variety, but this time I was engaged in an all-out pattern acquisition war. Which I won. I have been slightly giddy ever since. Was my bid ridiculously high? Perhaps. Worth it? Without a doubt. So, yes. More fabric than I strictly need, and more patterns than I could ever hope to sew. It seems like a lot, but in my defense, this is several months worth of stashing! 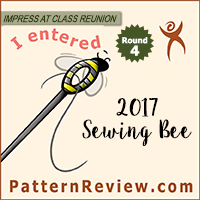 I am hoping that now I can decompress and get back to sewing for me. 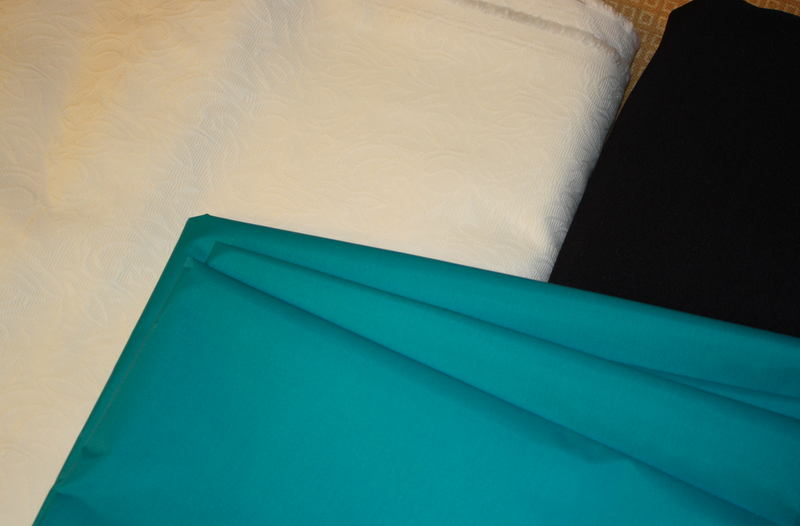 Usually when I am sewing things I do a lot less fabric buying. And I have more than enough planned projects to keep me occupied. So, hopefully, this will be my last big acquisition post for a while and the next few months will be full of finished objects and stash busting. Here’s hoping. 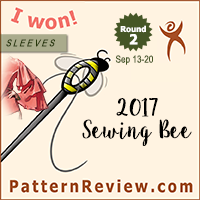 Newsflash: September Burda Preview Announced!